Philadelphia’s Air Force ROTC for over 60 years! 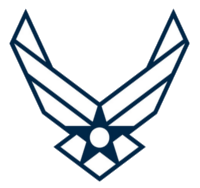 Air Force ROTC is a college program that prepares you to become an Air Force Officer. It’s a challenge. It’s an opportunity. It’s a head-start to a lifetime of success within the Air Force. Hosted at Saint Joseph’s University, Det 750 offers the opportunity to students at 24 total universities in the greater Philadelphia area to pursue an exciting career as an U.S. Air Force officer. Detachment 750 is one of 145 detachments across the country that directly commissions cadets to active duty. You will gain invaluable leadership training and experience at Det 750 from our active duty officers and non-commissioned officers while getting a quality education from one of our affiliated universities. AFROTC affords you the opportunity to follow your dreams of becoming an Air Force officer while still having the full college experience! Please explore our website for more information on what Det 750 has to offer you. We understand that a website does not always answer all of your questions, so feel free to contact us at any time for more information. Thanks for your interest in Philadelphia’s Air Force ROTC!